As of 1 January 2018 the Therapeutic Goods Administration (TGA) are now adopting the latest version of the PIC/S Guide to Good Manufacturing Practice (GMP). Veterinary chemical product manufacturers registered with the APVMA who have their audits completed by the TGA will need to comply with the latest version of the Guide. Read more. A manufacturing licence holder is required to undergo regular audits of the manufacturing site in accordance with the GMP audit procedure to ensure continued compliance with the APVMA’s Manufacturing Principles and the GMP Code. A licence holder who wants to increase the scope of their licence to include additional manufacturing steps may be required to undergo a partial audit to assess whether the site is suitable for, and capable of, performing the additional operations. An auditor prepares the report, including their findings on the site’s compliance with the GMP Code. The report also details any non-conformances found during the audit. It is up to the manufacturer to determine the most appropriate corrective actions. We then determine whether those actions are adequate and have been implemented appropriately. suspend or cancel an existing licence. Further information about how an audit is arranged and conducted is available in a separate guideline on arranging and undergoing an audit. We provide a list of APVMA-authorised auditors who are available to conduct GMP audits, however they are not employed by or contracted to the APVMA. Audits are conducted under contractual agreements between the auditor and the manufacturer. The cost of the audit is borne by the manufacturer. We authorise GMP auditors on the basis of their knowledge and experience in the production and regulation of veterinary chemicals or pharmaceuticals and their thorough knowledge of the Agvet Code and the Manufacturing Principles. We have measures in place to ensure that auditors do not have any conflict of interest that could undermine the independence and integrity of the Manufacturers’ Licensing Scheme and that they treat all company information supplied to them as confidential. 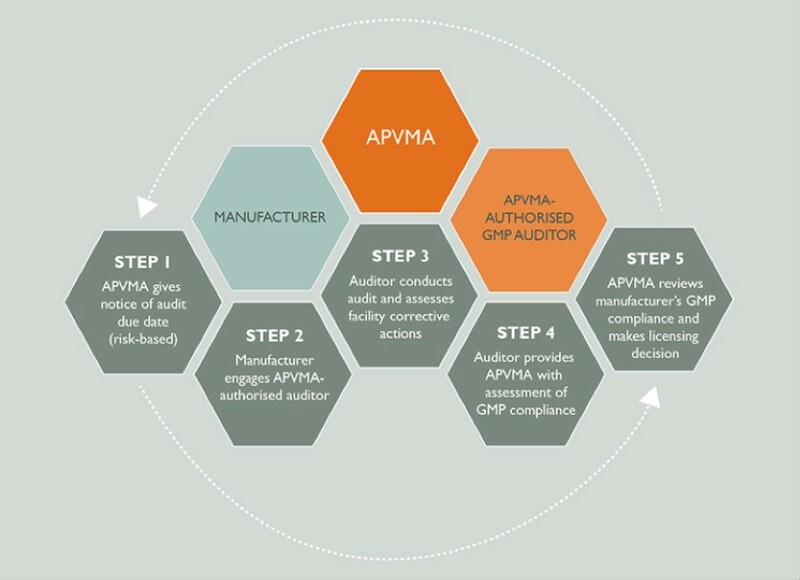 Figure 1 outlines the various steps in the GMP audit cycle and the roles of manufacturers, auditors and the APVMA. The APVMA uses a risk-based approach to scheduling GMP audits of veterinary manufacturing sites. We may recognise certification or licensing from the Therapeutic Goods Administration (TGA) or the National Association of Testing Authorities, Australia (NATA) as evidence of compliance with the Manufacturing Principles and GMP Code. We encourage manufacturers to provide feedback to us after each audit. If a manufacturer disagrees with the auditor's approach or findings, they may raise their concerns with us. Depending on the nature of those concerns and the outcome of our investigation, we may set aside an adverse audit finding, provide feedback to the auditors, or both.